Last weekend two teams of the Midway Conference went head to head in a double header to get their seasons started with a bang. 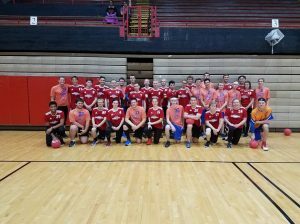 The two teams in attendance were the Nebraska Cornhuskers (UNL) and the Platteville Pioneers (UWP). Both teams battled it out and in the end UNL def UWP 4-2 and UNL def UWP 3-2. Let’s break down the tournament. Platteville brought a very young team to this tournament, as we had all sophomores and freshmen except for 3 players. This gave UWP a challenge from the start with a lack of experience to guide them throughout the game. 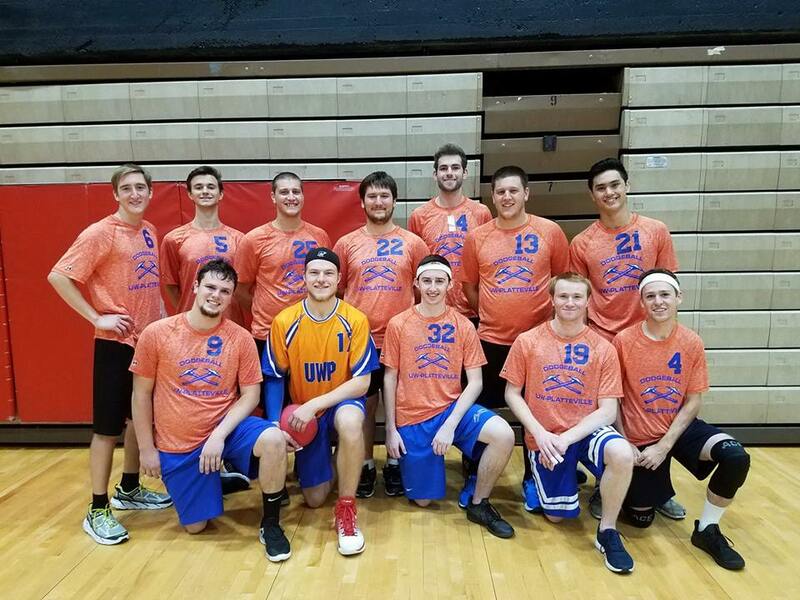 In the first match, UWP went down 2-0 right off the start. They battled back to tie it up, UNL took the next point, and Platteville gave up another point in the attempts to tie it. 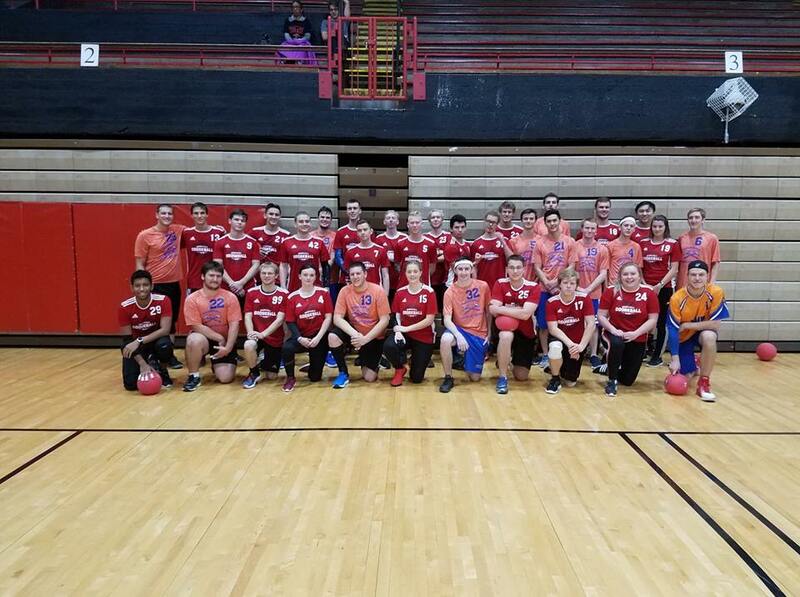 In the next game, each team traded points back and forth and UNL was able to obtain the last one to secure the win. For both games, almost every point came down to a few people left on each side and every point had to be earned and was not handed to either team. Platteville was able to keep the games close due to the consistent and stellar play of their veteran players Erik and Tomas Zander. Both were active in getting kills and coming up with big catches. Mark Liedtke also did a good job leading on the court which was needed at times to get things under control. One of the finest looking groups in the league! The Cornhuskers were well organized and kept their performance rolling from Nationals. 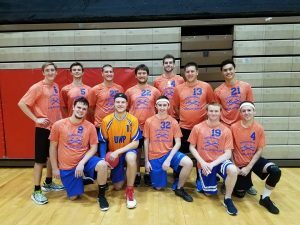 They had new faces on the squad, but they had enough experience to make them competitive and tough for Platteville to play. Their captain, “Moose”, played extremely well and his team responded to him. They had their game plan and stuck with it and worked as a team, which is why they did so well. As I said in the preview article, I thought this may be the best UNL team I faced and I was correct. They will be able to give all teams a good match. Overall, the two matches that we played were fairly close. In both matches played, the momentum was flipping and flopping back and forth. There were not many free points earned by either team as both teams were really pushing hard for the victory. Both teams have a lot to learn from these matches and I am excited to see how both teams progress in the next weeks of the semester. I thought we made a lot of silly mistakes in both matches and did not capitalize very well on the mistakes that UNL was making. We need to clean up our communication on the court and work more together as a team. I thought UNL also came out with a lot more intensity than we were expecting and that jarred the team a little. They worked really well together as a unit and seemed to be on the same page for most of the games. One of the best UWP pictures yet! Leave it to the freshman Jared Colden to wear a different jersey though. I think our best players this weekend were Erik and Tomas who had a lot of great cross throws all weekend and were very consistent throughout the two matches. Also, Ian Pongratz came up huge with some big outs when we needed them to turn some points around. For UNL, I thought both their captains played really well, not only through their on court abilities, but in how they managed the team through each point they played. I was really impressed by how well they played as a unit and all the credit for that goes to their captains. All four of the rookies we brought to the tournament played really well. If I had to pick one that stood out the most, I think it would have to be Jared Colden. For starters, he catches nearly anything that is thrown in his area code. He also has a great arm that he showed off during the matches. The best part is, he found his grip throw after the matches were over so watch out for him when UWP takes the court next. Nebraska – UNL is playing at a different level than they were last year at this time. They are only going to get better as time goes on and they play more games. Nebraska is going to make their way out to Akron which will be awesome for them to show case their skills against other teams. I can’t wait to see who they play and will be cheering from them and know they are going to make some noise. Platteville – Overall, I was happy with our team’s performance, the results were what I expected. We lost several big arms from last year so the younger guys had to figure out their new role on the court. The freshmen also impressed me a lot and are picking up on the game better than I hoped. Once we get their throws developed, it will make a big difference and help take some of the load of the veteran players. We were able to pinpoint areas we need to work on ,and once that is cleaned up we will be able to compete at another level. On a side note, Ryan Wall did get hit in the face, but it was okay, it turned into a team catch. One of these times Ryan you will make it through without getting a head shot.